Here at Buyapowa, we power referral programmes for over 100 brands, across all kinds of industries – from international beauty giants like L’Occitane, to mobile networks like Sprint, via everyone from Gap to Travelex. And, through this wealth of experience, we’ve learned that each and every programme has to be carefully tailored to suit not just one but multiple different audiences. 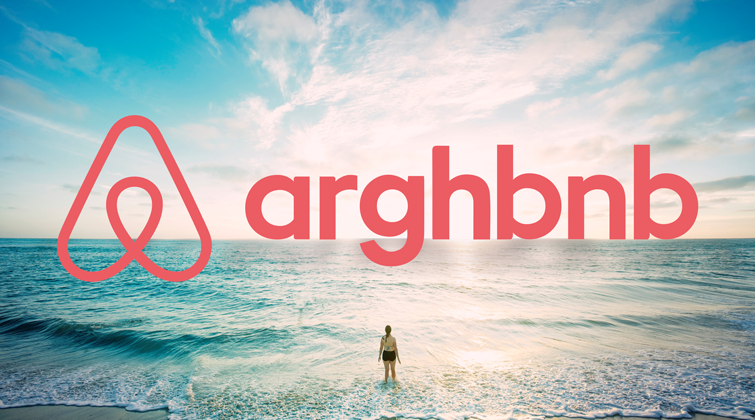 Sadly, that’s something Airbnb continues to overlook, despite the fact that their customer-base is extremely varied. 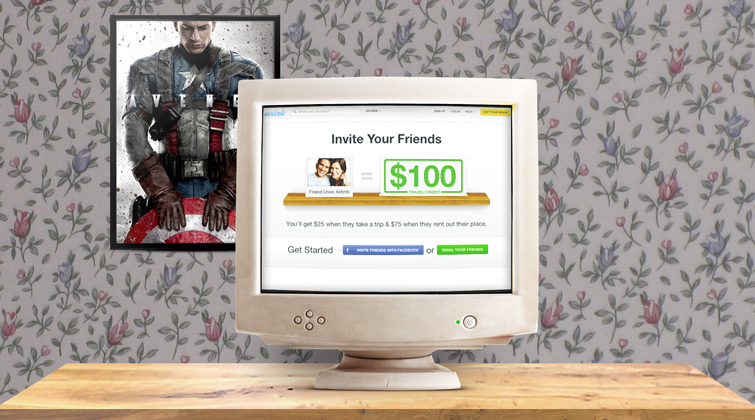 Whether you and your friends are happy-go-lucky couch-surfers or high-rolling c-suite expense accounters, you’re going to be offered the same referral proposition: £15 of credit when a friend makes a booking and £25 off for the friend. Now, that’s fine for some users – it’s often quite generous – but it’s bordering on insulting for others. If I refer a friendly neighbour megastar to spend a week at the super-swanky, £7,500 per night private chateau in the Loire Valley pictured below, then I’m going to expect a little more than pocket money for my trouble. A free night for myself might be nice. Or at least the chance to enjoy a complimentary time-of-my-life via one of Airbnb’s fancy new experiences. The other solution is flexible rewards, something which Buyapowa clients including the leading beauty box brand, Glossybox, have used to great effect. 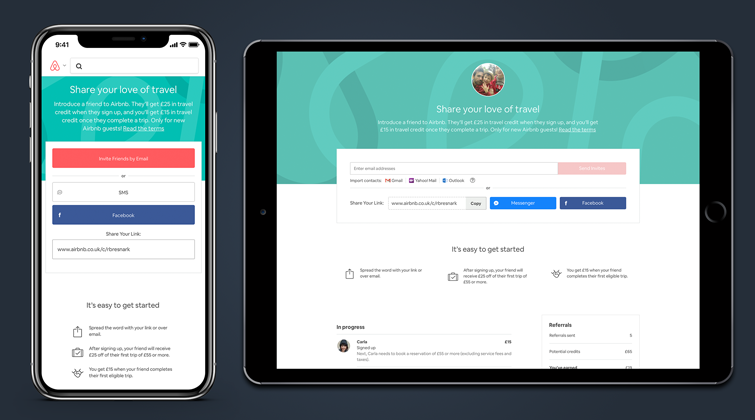 Instead of offering a static reward for every referral – and a fixed incentive to get friends shopping – our platform enables them to adapt their offering on a sliding scale. So, the greater the value of the referral (in Glossybox’s case, the longer the friend’s subscription), the bigger the payouts on both sides. First, I’m not sure I’m 100% comfortable with Airbnb revealing how many times I’ve used their service – certainly not without asking me first. It seems invasive. An, secondly, this simply isn’t how I’d describe their service. I’d never use the word ‘host’, for example – despite the way that whole touchy-feely-hang-out-with-a-stranger element is a core part of how they perceive their brand. I, and millions of other people, use Airbnb in spite of that stuff (I always feel incredibly uncomfortable when I’m forced to interact with hosts) and, if I were selling their service, I’d definitely play it down while playing up the fact that you can get a whole house for the price of a hotel room. And my friends would be way more into that, too. Oh, and finally: two out of the three sentences in this email end with exclamation marks – which just comes across as desperately needy. Maybe I’m nit-picking, but – hey – that’s what happens when you force people to send their friends words which you’ve written. They gripe about the grammar. The first reason we should let slide. As a user, it’s always a bit creepy to be tracked, but business is business and maybe it’s understandable that Airbnb would want to know how their product is being used. The second reason, though, is naive and, sadly, inaccurate. There is absolutely no need in either Europe or the US for people to be able to unsubscribe from personal emails sent to them by friends. Yet, ironically, by mandating that these emails come from their servers rather than users’ personal accounts, Airbnb have imposed this problem on themselves. And now it’s become even more serious. In May 2018, the EU’s GDPR (General Data Protection Regulation) came into effect, prohibiting the collection of any individual’s data where that individual has not personally opted in. 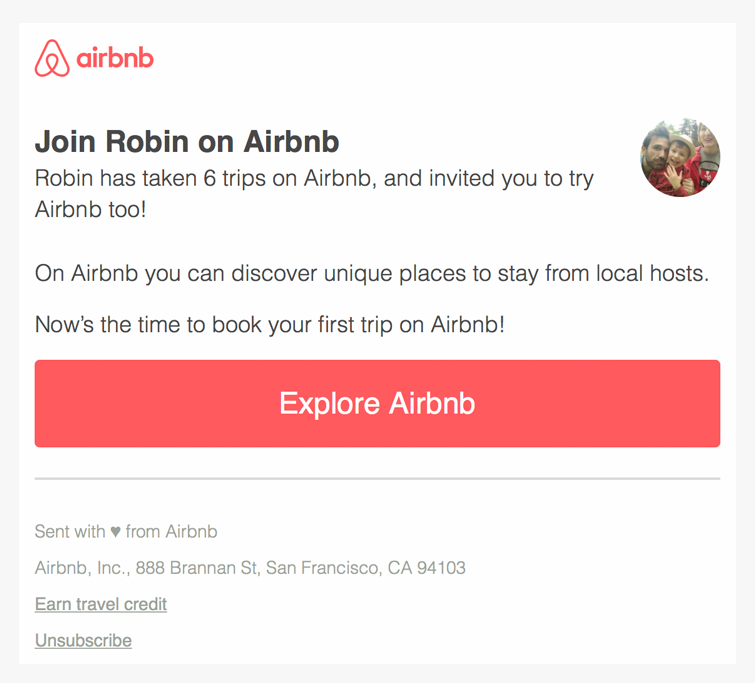 That immediately rules out Airbnb’s contacts import functionality, since Airbnb are no longer be allowed to harvest the email addresses of a user’s contacts without those contacts’ consent. And it also rules out server-side emailing. Simply by asking customers to type their friends’ names into a form, they’re breaking the law and they’ve become subject to a €20 million fine – or potentially, 4% of their global annual turnover. Once again, these are the kinds of mistakes which brands who don’t understand referral make when they try to do things themselves. If they’d sought the insight of experts, they wouldn’t be in this predicament. Now, with some very serious repercussions waiting in the wings, one can only hope they find a solution before it’s too late. Here at Buyapowa, some of our clients regularly see 10, 20, even hundreds of referrals generated by their most active advocates. In fact, across all our clients, one in every 50 referrers is responsible for almost 20% of all referrals. So, how do they achieve that? If you’d like to find out how your business can holiday in the future rather than staycationing in the past, just get in touch.